The amazing Years & Years are back on the road and are coming LIVE at The Wiltern on the Thursday 25th October 2018! These guys sure know how it's done, with their shows that are full of energy as they showcase their incredible songs plus brand new material from their new album! Don’t miss out on the night, tickets are on sale now! 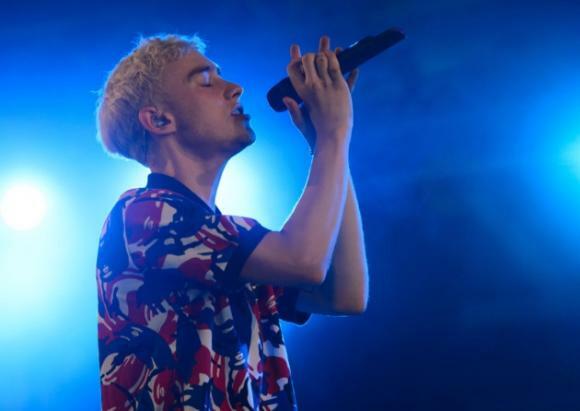 A groundbreaking act that has come up from the underground and pushed through onto the mainstream scene, Years & Years have proven they are up there with the rest of some of the best bands right now. Starting off in the UK, in London, they have branched out and travelled the world with their collection of music. 2018 they embark on yet another exciting journey and this time with a new record to perform to their fans! North American dates have now been added and this Fall they will be taking to the road and stopping off at venues across the board. As their previous years have proven to be successful, there's no doubt in mind that 2018 is going to be at the top of their game too. As they have recieved positive feedback from their dedicated following and from music critics with raving reviews, Years & Years are the one to continuely watch out for! Years & Years are; Olly Alexander, Mikey Goldsworthy and Emre Türkmen. The talented members have formed together and created something special, stepping out of the niche of the classic band style and have given a fresh look to the electronic scene. They have taken to the charts in the UK non-stop and have made their way across the seas to Europe, Ireland and now America. So yes, the rumors have been confirmed, you can officially catch Years & Years perform their latest release – Palo Santo LIVE in concert! Songs from the album are OUT NOW but there's nothing that beats seeing it right in front of you and hearing them for the first time from the band themselves.